Summary from Goodreads: Violent Bullies. Broken Homes. Black Magic. 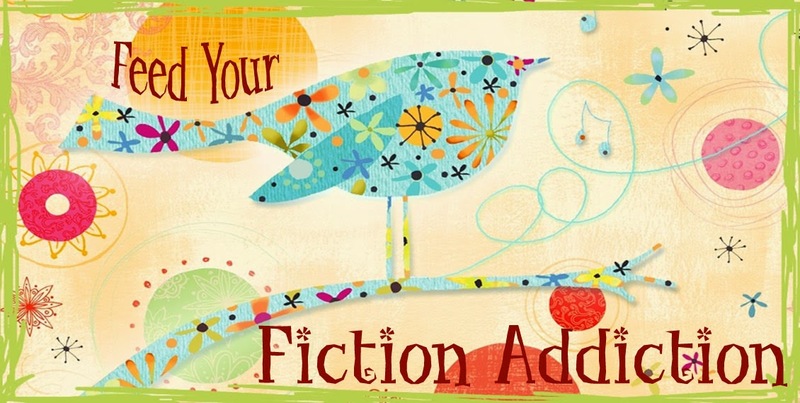 KILLER fiction. From author Kevin T. Johns comes the novel critics are describing as "a crimson-stained love letter to genre fiction" and the first book in a "must read" series. The Page Turners: Blood is the first book in the Page Turners trilogy: a genre-spanning series sure to please young adult fans of paranormal horror, science-fiction, and fantasy. 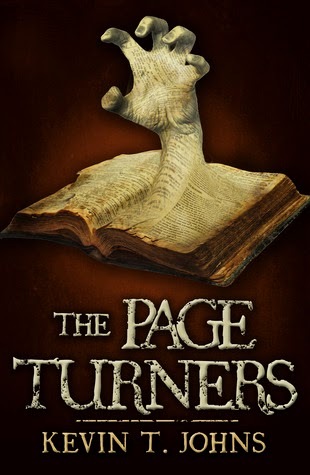 The Page Turners is a YA paranormal/horror novel in which fantasy and reality meet in unexpected ways. Nate, Danny and Spenser don't fit in at school. In fact, the only time Nate has ever felt at home is when his nose is buried in a book. That's why he and his friends start The Page Turners - a club where they can discuss fantasy and superheroes to their hearts' content. But when they find a book of magic and release a fictional villain into the real world, they have to become the heroes they've always only talked about. Overly-flowery language. The language in this book is extremely poetic and can sometimes be a bit overblown. Don't get me wrong, sometimes Johns' prose was beautiful, but it sometimes just felt like a little much, and it didn't seem to fit well with the paranormal/horror genre that this book fit into. Also, both Danny and Nate narrate in this flowery style, which seemed odd to me (the other narrators were a little less verbose) - I could almost forgive it in Nate because he was such a student of books, but two characters who thought this way just didn't seem realistic. Diana. My favorite character in this book is actually not one of the three main characters, it's Danny's younger sister Diana. Like her brother, Diana suffers an episode of public humiliation, but she doesn't let it affect her much. Instead, she focuses on what's important to her - her archery. I don't want to spoil what ends up happening with her, but I loved Diana's character arc. Love of books. As a book blogger, I can definitely appreciate Nate, Danny and Spenser's intense love of books!! I love how Nate describes the books in the library as if they each have a life of their own and he gives each of them incredible importance. An interesting ending. The best part of this book was definitely the final conflict. Again, I don't want to give anything away, so I can't talk specifically about what happens, but suffice it to say that the conflict is action-packed, interesting and (in some ways) unexpected! The Page Turners is an engaging, quick read. Overall, I give it 3.5/5 stars. 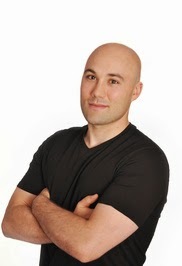 Kevin T. Johns grew up in a small Ontario town, reading comic books, watching horror movies, and playing guitar in punk rock bands. After studying film and English literature in university, he co-founded an arts and culture magazine, where he was a contributing writer and senior editor for several years. He lives in Ottawa with his wife and two daughters. The Page Turners is his debut novel. Look for books two and three of The Page Turners Trilogy.